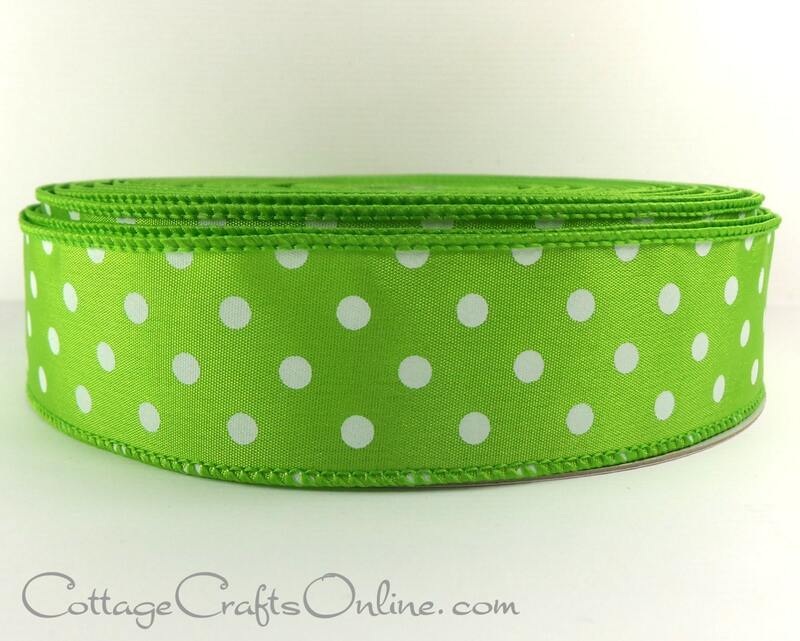 Lime and white polka dot ribbon with green thread covering the wire edge by Offray Lion Ribbon. The last photo shows this ribbon along with other spring patterns. This listing is for a 50 yard roll. Arrived on time and just the perfect pattern to tie our wedding favors with!! !